Late Shift: A FREE Interactive Movie Experience On Us! Have you ever watched a movie and seen a plot twist that you didn’t agree with, whether it was walking into that dark basement or picking up that strange-looking hitchhiker? Then, when that plot twist happened, you felt helpless and disappointed. 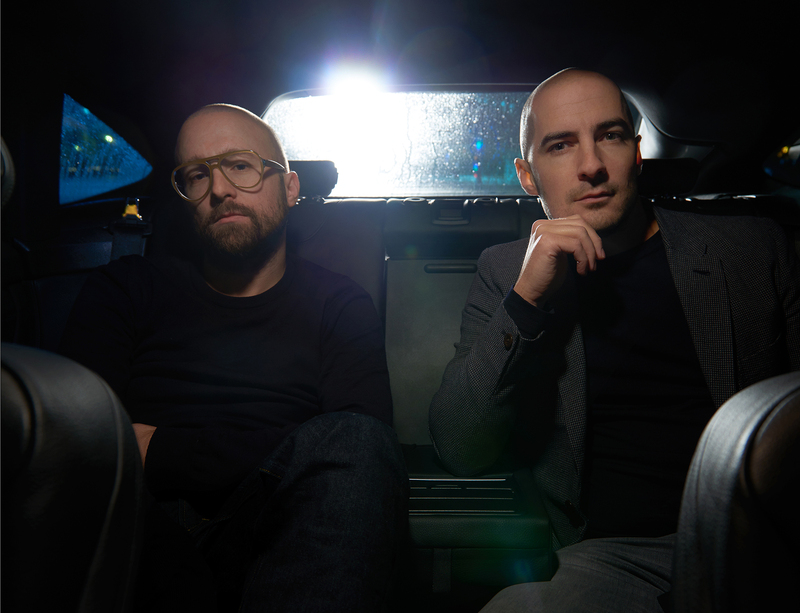 Well, two Swiss filmmakers, Baptiste Planche and Tobias Weber, are out to change your movie experience by putting the power of decision making smack in the palm of your hand. Their first project is called Late Shift, and it is what they are calling the first “interactive” movie, because you decide at critical points throughout the movie what the characters do or don’t do. Should he pick up the gun? Should he get in the car? You decide all of it, and it makes for a very interesting cinematic experience. I interviewing Planche (BP) and Weber (TW) about their experiences conceiving and making Late Shift, and about the future of cinema. Oh, and I convinced them to offer 100 free copies of their movie to Revolution readers. All you have to do is to send us some quick details so that we can forward you your FREE download voucher (a $5 value). Planche and Weber are both Swiss, and they even used a Tissot watch in Late Shift. Fill in your details here to receive your free voucher! The CtrlMovie technology (Swiss Made) offers a unique and unseen experience, combining movie, game and home entertainment. Watch and play the world’s first cinematic interactive movie on your tablet or smartphone or during this special theatre experience at the Film Festival in Locarno. The hero’s destiny will be in your own hands as soon as you’ve downloaded ‘Late Shift’ from the App Store. While watching the movie of cinematic quality, you shape the story. You decide on the hero’s journey to one of seven different endings, while the film flows absolutely seamless. 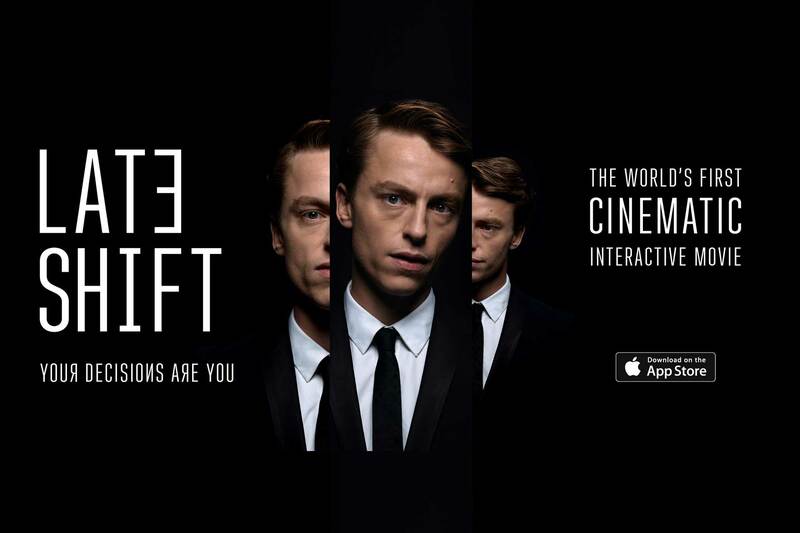 ‘Late Shift’, the interactive movie app was recently featured at WWDC16 for its great gameplay on tvOS and has been released on AppleTV. Available for iOS devices on the worldwide App Store, 'Late Shift' is also being screened in selected cinemas and at A-List film festivals (e.g. Cannes Film Festival) around the world. Revolution: How did you come up with the idea? TW: It’s hard to say where exactly it came from. I am a film maker, I’ve done a lot of commercials, and in doing so, we got more and more frustrated with the traditional formats and were looking for new ways. That’s when I got the idea of letting people make choices. When we did the pilot, we realized that the potential is a lot bigger, which made us think of new ideas. We did a 10 minute pilot to showcase the idea, and then we heard from people that they wanted something longer than the 10 minutes. I’ve always found it interesting to have a character make impossible decisions, I’ve always asked myself how I would respond, and I think that’s interesting for the audience. When you have to choose between two really bad options, it’s an interesting choice. Did you have any technical challenges driving the project from Switzerland? BP: We initiated it from Switzerland, the private investment came from Switzerland and Swiss National TV. We shot the movie in England with English actors and in English, for the international audience, and because of the background of this great city. Did it take longer to shoot than a regular movie, as you had to shoot all the alternatives? TW: This is a low budget movie, we pressed every Euro out of it, we had long shooting days. We needed a little bit more time, as we shot more footage, but there are a lot of synergies. It would have been six weeks. BP: The budget was 1.5 million Swiss francs. The app was something we developed separately as a company. The software we have now will be used by us for future projects and we will allow other filmmakers to use the software to create interactive movies as well. Was it hard to keep everything straight? TW: It certainly was for the whole shooting crew to keep track of what has been done and to always keep in mind, as a character or an actor, where you came from in the story and where you are going. Having said, this, every actor is used to doing that, because you normally shoot things out of order. You have one scene, which could have come from one scene but it could also come from another scene, so it was tricky to keep it all straight. It definitely added complications, especially when it came to continuity. BP: Swiss precision was important in this one. The way we work together is very Swiss-we are quite accurate, and we like to be on time, on schedule and on budget. Our crew over there appreciated that we had the organization. You put a watch in the movie. How did that come about? BP: We had this background of conceiving the whole experience for brand entertainment, then we decided to do a fictional movie, but we wanted commercial success, so we had two product placements, BMW and Tissot. It was important that these brands came on board, as they believed in the project. The whole story is around cars, so BMW was an easy choice. Because it was innovative, Swiss-based, it was cool to have a Swiss watch, the Tissot T-Touch. We got both product placements through the Propaganda agency in Geneva. TW: We both have very nice watches. I think it is like a piece of jewelry. BP: I love watches as an object and as a manly piece of jewelry, but we have our phones with us all the time. When I wear a watch, I wear it for a reason and a purpose. How did you guys get started in filmmaking? BP: I fell into film making by accident. 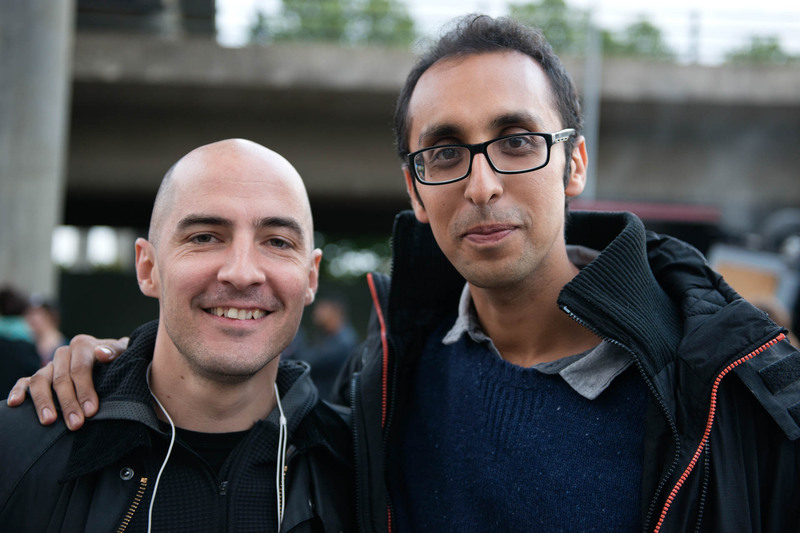 I joined Tobias in the agency we had, and he had some plans, and we decided to work together. Is this a gimmick or a trend in movies? TW: It’s hard to say. In a way, we see potential for this new format. We see that in the space between film and games, there is room for this. Big gaming companies are trying to put titles in the movies, like Warcraft. There have been titles like Heavy Rain which feel very much like a movie, going through the story. What we do is the opposite; we shot a movie which feels a little like a game. People seem to like it. You can either come in from the game side or the film side, but we believe there is a future here. Our daily lives are all about decisions, and you have to make them all day long. We are playing with this and experimenting, and I love exploring where the decisions take you. With Late Shift, you can go back and see if you make a different decision, what would be different. It’s a bit of a playground. Is it a good idea to put plotting decisions in the hands of the masses? BP: What we do is fiction. The story we have created is where you have to make decisions and you have to face the consequences of your decisions. TW: There is no wrong way. We have started out with the general mechanics of the story. It is a heist and he has a plan, and at first you are in the dark, then you learn about all of this. The mechanics of the story are always there, but when we offer choices, it’s less about the story and more about the character, who develops differently. It’s about what person he or she becomes. You lead him through the story and he can become better or he can become worse. The ending can be bad or happy, but the general mechanics of the story are the same. You make a choice every two minutes, and all these choices lead to you one of the seven endings. The consequences of all your decisions lead you to the conclusion. You have to ask yourself where you went wrong. BP: You have different results all the time. When we show it in theaters, we have different endings all the time. It’s not super easy to get to the uplifting ending, and sometimes they mess everything up and the end up with an unhappy ending. BP: The response has been great. People love the experience. People are embracing it. When we screen at the festivals, it’s always the most popular and they stay afterwards and talk about it. We have had very positive responses. What’s next? Will it be another interactive movie? BP: We are still very busy going to film festivals and we are doing theatrical releases in Russia, Switzerland and England. We haven’t had the time yet to work on the next project. We might do a romantic comedy next. This would work very well with the structure.